Santa Claus is coming to town. He’s making a list and checking it twice. Have you been naughty or nice? 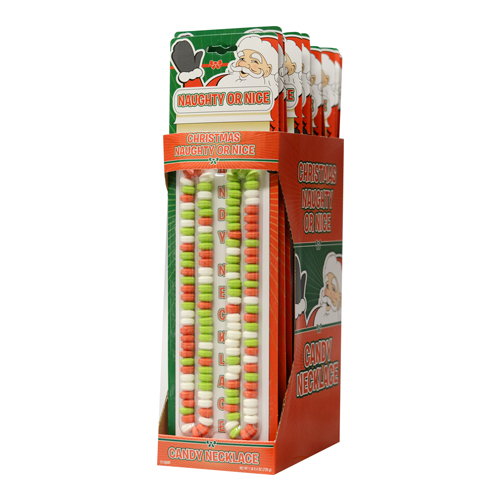 You can be both at the same time with the Christmas Naughty & Nice Dual Candy Necklaces! 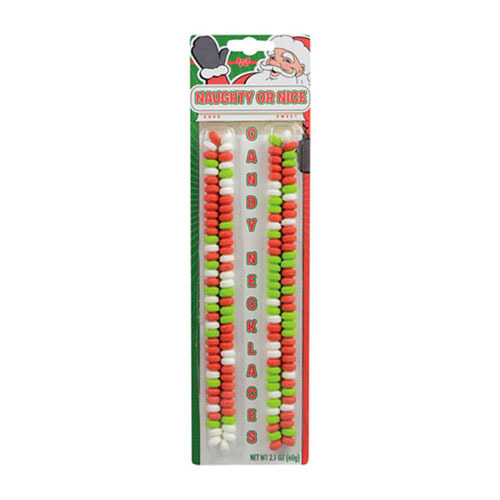 Kids will love to accessorize their holiday outfits with these tasty necklaces. Will they keep both necklaces, or share with a friend? 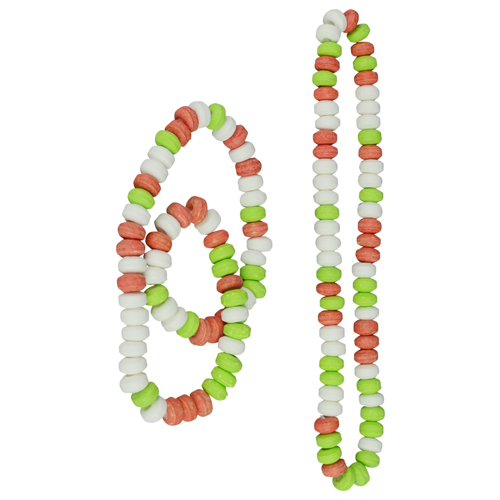 Each candy piece is full of flavor and is beaded on an elastic string, making the necklaces easy to slip over your head. They're so good for goodness sake!